A cross country move may involve many hassles. 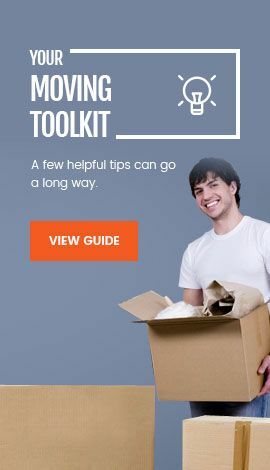 One of the major problems for most individuals is the cost of relocating all the belongings together. While you can certainly sell the unwanted armoire and the smaller stuff that’s been collecting dust in your garage, the cross country move can quickly add up when it comes to irreplaceable, large items. That’s why hiring the services of C & C Moving will minimize the costs and hassles. Moving across the country shouldn’t have to be hectic when you trust the cross country moving services offered by C & C Moving Company. Our professional cross country movers can help you relocate with ease. 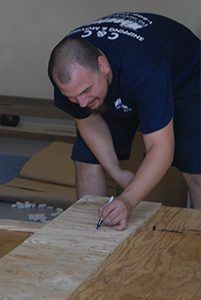 From packing to shipping to relocating to storage, our experienced movers can handle everything. Our goal is to make your cross country moving process easier. C & C Moving Company is a professional Florida moving company that puts clients first. Many years in the moving industry has made us the preferred choice for a cross county move. We know how tough a local or long-distance move can be. That’s why we have customized our moving and storage services to take the burden off of our clients. With us you will save time, money and be injury free as lifting items for hours is strenuous for anyone back. With reasonably priced services that cover local, long-distance, and cross country moves, C & C Moving Company is your first choice as Florida movers. 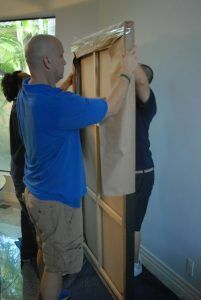 Our team of friendly relocation consultants is here to answer your questions about any type of relocation. C & C Moving Company is the only name you need to remember if you need cross country moving services to or from Florida. 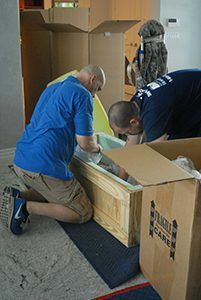 When you hire C & C Moving Company to relocate your possessions across the country, you can rest easy knowing that you will receive the help of a personal moving coordinator who will supervise every aspect of your relocation from start to finish. If you are in need of some extra space while relocating across the country, C & C Moving Company can also provide you with affordable storage options. Our cross country storage solutions are perfect for when you are not ready for your belongings to be delivered at your destination upon your arrival. We provide secure climate-controlled storage units to protect fragile and delicate items, so you never have to worry about your precious furniture or other items. We offer customized solutions to suit your exact needs. We also provide the service to deliver a container right to your door and help you load it with your belongings and hold it as long as you need us to. 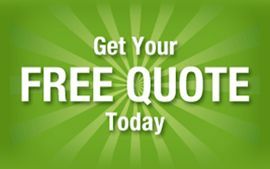 Call us today if you have any questions at 1-800-330-8985 or visit Free Quote Estimate. We’re glad we still use Them!